Machine Shop Insurance Washington. As a machine shop owner or operator, you offer a variety of products and services to the clients that you serve. 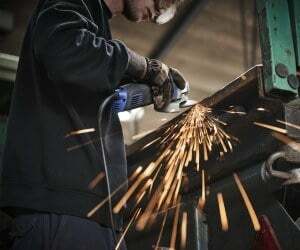 For example, you might create unique items for your customers, or you may offer repair services for companies that utilize certain types of machinery. Machine shops in WA receive unfinished parts from customers, generally manufacturers, and then grind, bore, or perform other processes based on the customers' specifications. If you've just opened your own shop, trying to navigate the world of insurance can be confusing. To help you make the best possible choices and to ensure that you are well protected, keep on reading to find out why insurance is so important and what type of machine shop insurance Washington coverage you should invest in. Machine shop insurance Washington protects custom machining, electroplaters, foundries, machine parts manufacturers, or metal finisher operations from lawsuits with rates as low as $77/mo. Get a fast quote and your certificate of insurance now. Having the right type of machine shop insurance Washington coverage will protect you from financial burden. Should a client become injured while visiting your shop and file a lawsuit, for example, commercial insurance will cover the cost of any necessary medical bills, as well as legal fees. For the safety of yourself, your employees, and your livelihood, having the right WA machine shop insurance coverage is essential. To find out what types of options are available to you, how much coverage you should invest in, and how much your coverage will cost, speak to a reputable insurance broker. Request a free machine shop insurance Washington quote in Aberdeen, Anacortes, Arlington, Auburn, Bainbridge Island, Battle Ground, Bellevue, Bellingham, Bonney Lake, Bothell, Bremerton, Burien, Burlington, Camas, Centralia, Chehalis, Cheney, Clarkston, College Place, Covington, Des Moines, DuPont, East Wenatchee, Edgewood, Edmonds, Ellensburg, Enumclaw, Ephrata, Everett, Federal Way, Ferndale, Fife, Gig Harbor, Grandview, Hoquiam, Issaquah, Kelso, Kenmore, Kennewick, Kent, Kirkland, Lacey, Lake Forest Park, Lake Stevens, Lakewood, Liberty Lake, Longview, Lynden, Lynnwood, Maple Valley, Marysville, Mercer Island, Mill Creek, Monroe, Moses Lake, Mount Vernon, Mountlake Terrace, Mukilteo, Newcastle, Oak Harbor, Olympia, Othello, Pasco, Port Angeles, Port Orchard, Port Townsend, Poulsbo, Pullman, Puyallup, Redmond, Renton, Richland, Sammamish, SeaTac, Seattle, Sedro-Woolley, Selah, Shelton, Shoreline, Snohomish, Snoqualmie, Spokane Valley, Spokane, Sumner, Sunnyside, Tacoma, Toppenish, Tukwila, Tumwater, University Place, Vancouver, Walla Walla, Washougal, Wenatchee, West Richland, Woodinville, Yakima and all other cities in WA - The Evergreen State.